Print this Thomas the train potty chart to help your child complete the potty training process. Each time your child goes to the potty, stick a sticker on the chart. When he or she gets 10 stickers you can give him/her the chart or hang it somewhere people will see. You can also show the chart to friends and relatives and make a big fuss about how the chart was successfully completed. If you want to use prizes, then you can promise a small prize once the potty chart is complete. This will help with motivation and encourage your child to keep using the potty. There are two versions of these sticker charts. They both have 10 steps. Each chart can be printed in two sizes: US letter or A4. 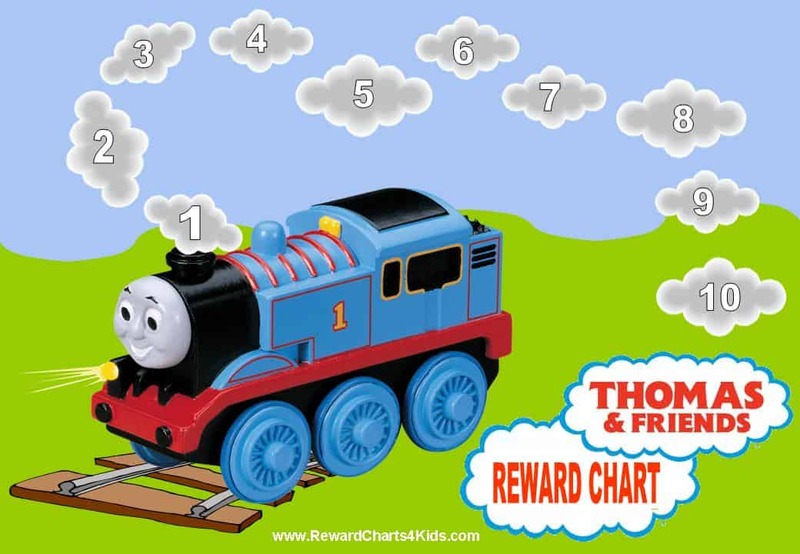 There are many more free printable reward charts and potty charts on this site. I was wondering how do i download these? If you click on any of the charts a full size chart opens which you can print via your browser (file-> print). If this does not work for you then please let me know which browser you are using and we will try and sort out the problem. I did check on my computer and it worked. Regarding your request for a specific chart – we do not have this but I will make it for you. Please check back in a day or two and hopfully it will be ready for download by then. 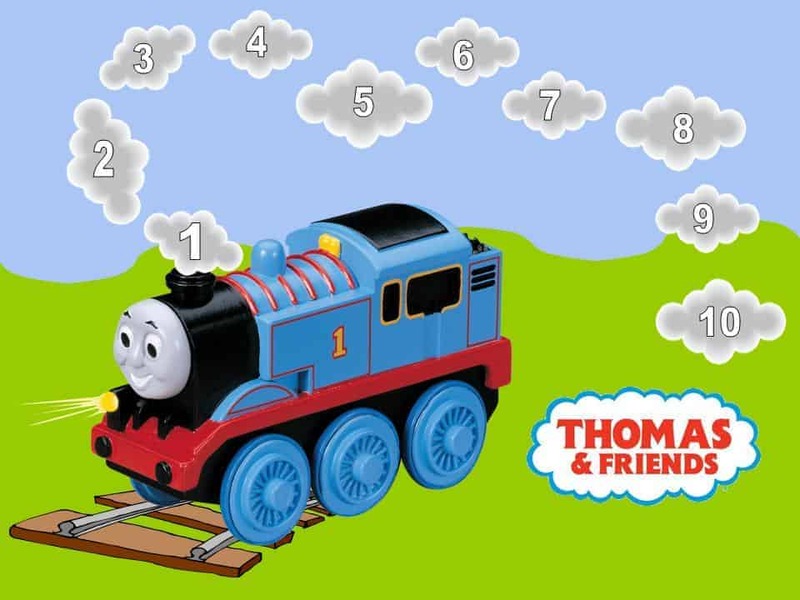 Hi I need a Thomas n friends A4 PICTURE SO I CAN MAKE IT INTO A CHART MY FRIENDS SON WILL LOVE PLEASE CAN YOU HELP?